Planning an arts and crafts birthday party is a lot of fun and there are a wide variety of possible craft party ideas to keep the guests entertained. The best part about many of these birthday party craft ideas is that your guests get to take home something special at the end of the day that they have created themselves. 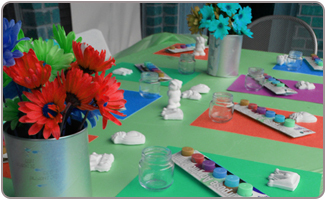 When it comes to children's birthday party ideas, arts and crafts is hard to beat. There are many venues that will set up a craft for the kids to do for you, such as pottery creation, painting, and sculpting locations. 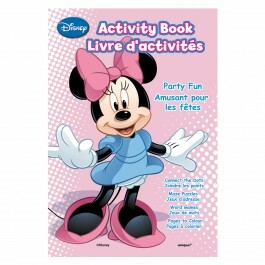 Call around for arts and crafts birthday party packages. Check your local Children's Museum. 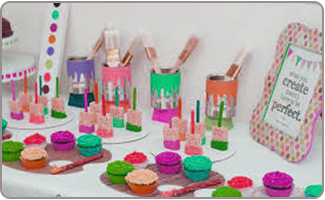 Many offer birthday party packages with a variety of possible craft party ideas. If you decide to do an arts and crafts birthday party at home, save up your newspapers for a few weeks and use them to line the floors in order to protect against spills of paint, glue, and other messes. 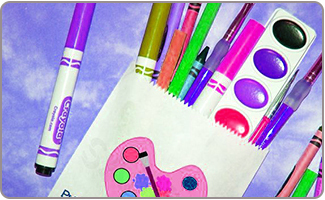 Buy craft supplies in bulk at supply stores either in person or online. Choose one craft for everyone to do, or set up crafting stations where people can do more than one. 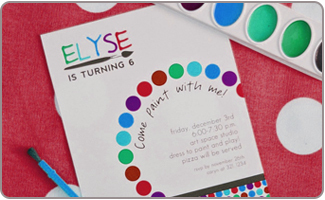 Look for prepackaged party invitations if you are running short of time so that you canfill out and send off in a snap. Get creative! 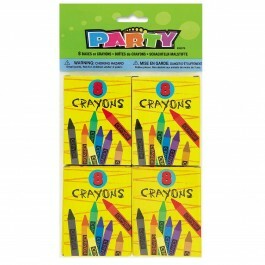 After all it is an arts and crafts birthday party, so get out craft supplies to create unique invitations. 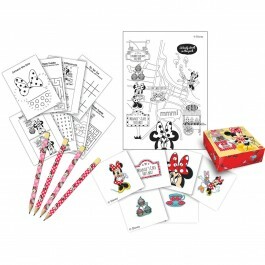 Have the birthday child draw a picture on each invitation to personalize as well as capture the theme. 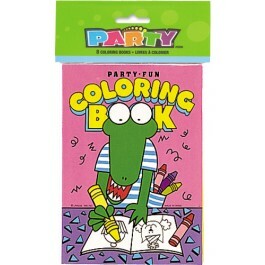 Cut out the shape of an art smock, dab it with paint, and then write the party info on it. Be sure to mention in the invitation that you plan to do arts and crafts at the party so that the kids will dress in clothes that can get messy. 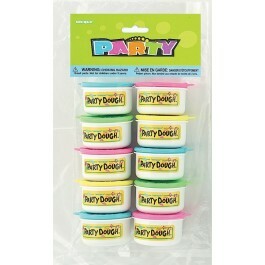 The craft table should be the center of your party activities. 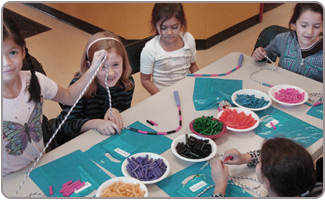 Set up various stations with a different craft at each and offer a variety of craft party ideas. 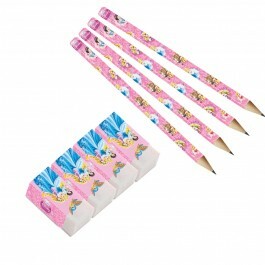 Birthday party craft ideas include dry macaroni art, finger painting, building a popsicle stick house and using stamps. Create a group piece of artwork on a large poster board, where everyone can add their part and wind up with a lovely keepsake from your arts and crafts birthday party. Cut out shapes and blindfold the kids one at a time. Have them glue random shapes while blindfolded to a poster board to create an abstract art piece. Set up a fun arts and crafts race. Have three or more stations set up with a quick craft. Time each child as they run from station to station trying to complete each challenge in record time. Take large pieces of paper and sweep paint across them. 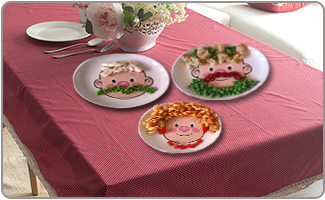 Do the same with disposable tablecloths, and let them dry before using them. Around the room use actual craft tools as décor. Arts and crafts ideas include putting paintbrushes in a vase, make stacks of popsicle sticks and pipe cleaners, and stick safety scissors into Styrofoam cubes. 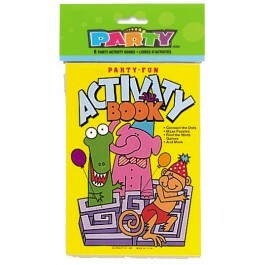 Purchase all the party decoration supplies you need for your arts and crafts birthday party from our wide array of options. Balloons in a wide variety of colors and streamers hanging around the room set a festive atmosphere. 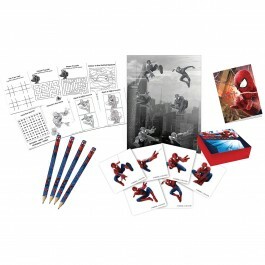 Create an art gallery of other arts and crafts your child has done in the past. Place temporary hooks on the walls and put each guest's name above one. Hang a plastic art smock from each hook. A personalized art smock makes a great return gift for an arts and crafts party. Hand out a little bag filled with basic supplies like safety scissors, paintbrushes, and glue sticks to each guest. 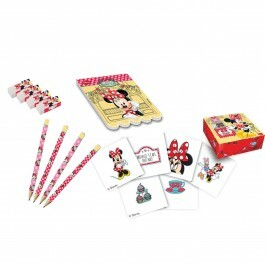 Fill goodie bags with arts and crafts birthday party themed return gifts and candies. Offer cold cuts, cheese slices and a variety of sauces along with hot dog rolls so that your guests can craft their own sandwich. Set out sugar cookies and tubes of cookie frosting and let the guests make their own art piece on a cookie. Chocolate pudding can double up as a finger painting tool as well as a delicious treat. Create a cake using one of our many possible arts and crafts ideas for a themed cake topper. Offer bowls of both dry macaroni for crafting and cooked macaroni and cheese for eating!